This Christmas is a Christmas in which that special lady in your life needs a little more love and care than usual. It was a tough year. She deserves your love, your recognition and honor. But let me warn you. Perhaps your lady prefers that you spend quality time with her in addition to giving her a gift. Or that you say or write a beautiful message to go along with it. Or that you do something nice for her like giving her a much needed break. Or that you hug her, kiss her and squeeze her more throughout this holiday season. If you’re reading these suggestions and have nooooo idea what your lady would like the most…. because after all, you gotta focus on what SHE would like to receive, not on what you would like to receive, check out The 5 Love Languages. Why? Because gift-giving is a language. And you have to make sure that you communicate thoughtfulness, consideration and a genuine interest in trying to please the other person. I start by saying this because, think about it, the lines for returning items don’t get gigantically long starting December 25th because people have been truly tuning into what we want, but rather, because they haven’t. And truth be told, maybe neither have we. So having said this, here are some ideas that can most likely brighten her day… not only on Christmas Day, but throughout the year. We ladies love our technology. We really do! Some of us may say we’re not tech inclined, but as you’ll see, these gifts prove otherwise. Aside from stylish, this phone bag is smart since it minimizes the chance that your financial information will get stolen. It’s a nifty way to carry your essentials… perfect for a quick errand or throughout the day. You can buy it on Amazon or at www.k-carrol.com. It’s $25.00 with 20% off using the code OPRAH, but then again, you may have to pay for shipping. This is a universal waterproof case that holds your phone, ID< credit cards, and keys from getting damaged (or lost) in water, snow, dirt, water sports or a chill-out day at the beach. It’s made of a transparent, environment friendly and non-toxic food-grade PVC screen. Wow! That was a mouthful. And in the unlikely event that you drop your case into water… guess what? This bag floats. Isn’t that something?! Since the film on this pouch is both thin and clear, you can use your phone like you normally would AND you can take photos and videos. And… I know what you’re probably NOT even thinking about since you’re so focused on what this little pouch can already do for you, and that is… that with this pouch…. guess what? You can take photos underwater. What phones can enjoy such protection… those that are up to 6 inches. So this phone is ready to take a dip. Are you? This waterproof case can accommodate smartphones up to 6 inches… measured diagonally. This life-saver has a cutesy little lock to keep water, dirt, dust and sand out. With this neck strap, you’ll be sure to have your device close to your heart and safe and sound. It’s waterproof up to 100 feet. And, don’t worry, you can still maintain full touchscreen functionality, even while you’re protecting it. AND since it’s clear plastic in front of and behind your phone you can take pictures, as well. And you can carry money and credit cards. You have several fun colors to choose from. It’s a handy Bluetooth device for taking selfies on your phone. C) she’ll mess one more thing up. All because she’s shaky and unsure. Yes, I know. This all sounds a bit melodramatic. But seen this way, a vain want all of a sudden starts sounding more a more like a need. And now, for one of the hottest gifts on the market, the Fitbit! TA-DA! This is one of those things that is very fuzzy…. it’s a want, but it’s also a need. It’s hard to keep motivated to work-out when you don’t know how much you need it. And it’s also hard, when you don’t know with cold, hard, facts that your workouts are actually making a difference. That’s why some people never start working out, or quit shortfly after starting. Can we just pause and take a look at this beauty for just a second? Goodness gracious! This thing is a beauty! Yes, it’s gender-neutral… but I don’t know about you… but this little techy gadget can make any lady drool. It syncs to your phone and/or computers. You can wear it in the shower. Battery lasts up to 5 days. It tracks your activity, your exercise and your sleep. It even reminds you to move. And my favorite part? It displays call, text and calendar reminder alerts. The Leonie Dawson calendars are one item that are wayyyyy up there in the things that I recommend not only for Christmas, but all year round. If you like my content, it is highly likely that you do because you can resonate with the fact that time is not gonna slow down. And no matter how much were waiting for the perfect moment to love our loved ones, spend time with them or follow that entrepreneurial pursuit we have, unless we plan it, hate to break it to you, it’s not gonna happen. 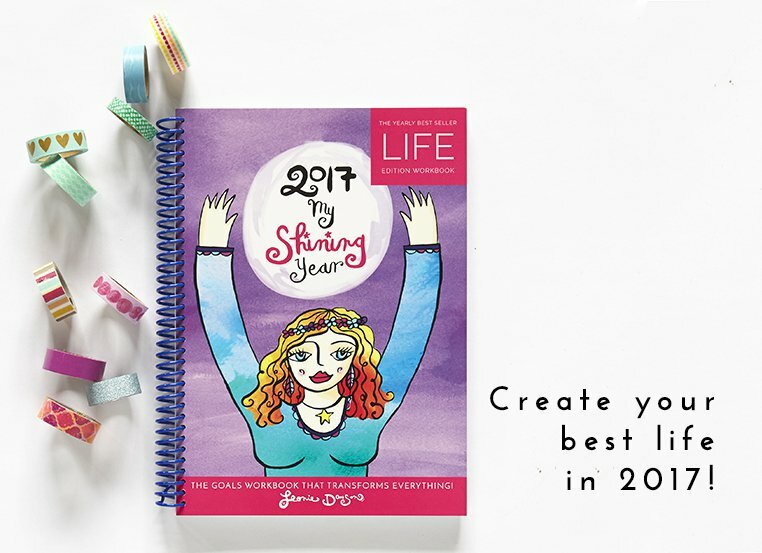 So, what we need is a tool like Leonie’s calendars and diaries to invite our soul to plan. To dream. To envision. To stretch ourselves. To believe that we’re capable. So, yeah, I wholeheartedly recommend Leonie’s planners because they’re truly the wholehearted way to plan. I have used and have liked Erin Condren planners, and they’re nice. They really are, and I’ve recommended them in the last. But this past year, I used The Happy Planner by MAMBI (Me and My BIG ideas) and I’ve gotta say, I lovvvvvved using it! It was elegant, colorful, cherry, optimistic and practical. I really couldn’t ask for more. I liked it so much that it will be the calendar that I use for next year. If you haven’t smelled any Carol Daughter’s products, you’re in for a real treat. The black vanilla detangling spray is heavenly. Really, heavenly. I’ve worn it for years and love it. It’s my favorite beauty product ever. Yes, this means that if I had to go to a deserted island with just one product this would be it. This would make me the happiest. And who cares if I don’t have any makeup on if nobody is there to see me? But once you smell this product, use it and notice the way that it makes you feel, you’ll understand that this product uplifts your soul and can extract the natural beauty you have within. Yes, I realize it sounds like an exaggeration. I get it. But you’ll also get what I’m saying when you smell this aroma. Can I share a little secret with you? Promise not to tell? I love this hair product so much, that I have for years used it as my “perfume” by choosing NOT to wear any other perfume on purpose. That way, when I walk by someone, or someone hugs me? Guess what they smell? This hair product. Know what I mean? Anyway, this product is great. And if like me, you like cleaner products, well guess what? These products are free of sulfates, petroleum, parabens, mineral oil and artificial colors. Could this product get any better? Ummm nope. Well… unless it lasts forever and they never stop making it. That’s my only wish. With it on I feel complete. It’s not even about what it does to your hair. It’s about what it does to your senses. Listen to me, you have GOTTA try this. I almost didn’t share this product with you because I love is SOOO, sooo much and didn’t want to give away my “perfume” secret. Oh, yeah, and I almost forgot this detangler does help detangle the knots in my hair. I’m a bit of a naturalist hippie. Ever since j can remember I have intuitively disliked slathering synthetic creams on my body. So, of all the things you can slather on, makeup can be the most concealing and at the same time, the most revealing about you. Think about it. Clowns cover their face more than anything. And if we don’t chose an adequate makeup product, we too can look like clowns. But with this rose makeup, you’re getting the best from nature. I used to not be very fond of the rose smell in products, but now, it’s not that big of a deal. I hardly notice the smell. Yes, girls like their make-up. But it’s sometimes hard knowing which makeup product is gonna be a hit. Look no further than this award winning palette for brides. If it’s good enough for brides on their big day, it’s good enough for you on any given day. This palette is so rich but yet so easy to use, that the lady in your life is bound to enjoy it all year round. And what if your PJ’s were soooo nice that you could go out an about in them without anybody noticing them? Wouldn’t that be something else? Well… now you can. I’m sure that you can find some nice PJs that don’t look like PJs in many clothing stores… but… these PJs are awesome. They’re cozy, soft and stylish. But I get it, they’re a splurge. Cardigans are $116 and the pants are $106 . So heck, you can get then for your special lady, but getting her ANY pretty pajamas and giving her a day or two off of her never-ending to do list is just as good as if not better than these pijamas. Sometimes, it’s in the little details that we find joy. Like in drinking a glass of tea, milk or even water. Sometimes, it’s having a little fun and providing an experience for someone that is a gift in and of itself. You can find them in many different places like Michaels, Anthropologie, World Market and Amazon. Speaking of experience… if you’re up against buying a gift for someone who has everything. There is one type of gift that you can almost NOT go wrong with. And that is the gift of creativity. And what better gift can you give to someone to unleash their creativity with than to give them a box of crayons, or if you want to be a tiny more sophisticated, a gift of colored pens. How does a gift of 120 highly-rated gel pens sound? WITH a cool case. That’s 60 pens with 60 refills….BUT they’re NOT duplicates. WOAH! Now we’re talking! Your gift recipient can use them to doodle, to write in their planners with, to color their adult coloring books with, to journal, to write their school notes with and make time in the office a bit more fun with. The possibilities are endless. After you take a look at this I won’t judge you if you think to yourself, “Heck, so-and-so already has everything!” as a way of justifying your desire to keep this gift for yourself. ? One of my absolute favorite places to shop is Amazon. I shop there more than anywhere given that I enjoy ordering online and getting the items shipped to me within a 2-day window thanks to Amazon Prime. You can enjoy this benefit, too, by signing up. Get started with Amazon Prime, or renew your subscription so that it makes getting fits during this Holiday Season easier for you. What do you like to give to give to the ladies in your life? What do you like to receive? Do You Like To Shop Online? Try using Ebates. It’s a plugin that you can install, and will give you money back just when shopping online.